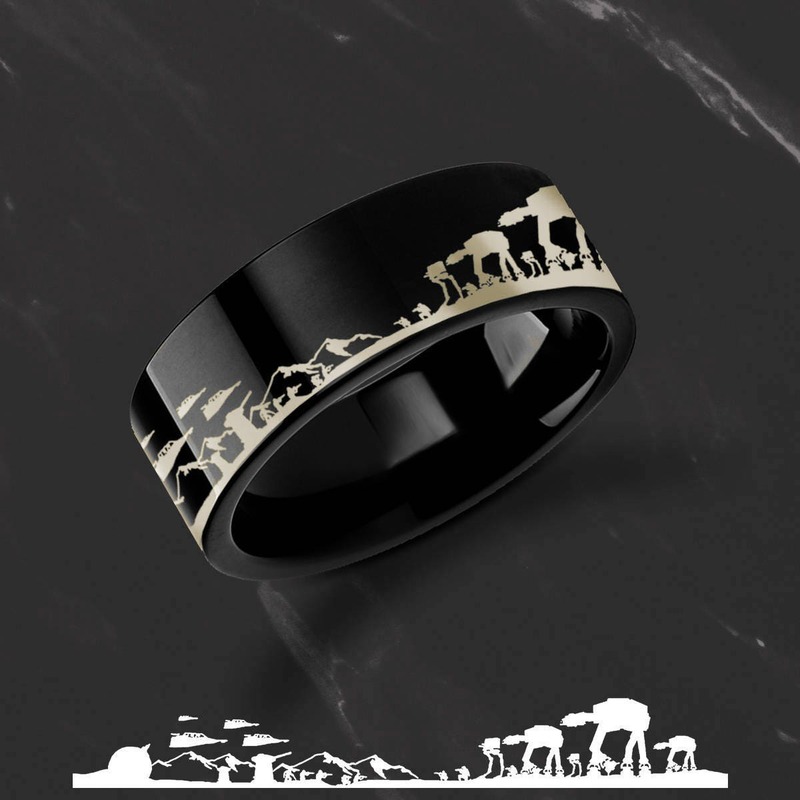 This is a flat polished black tungsten carbide ring with an awesome Star Wars battle of the Hoth scene engraved on the outside of the ring. You can pair this outside Star Wars battle scene engraving with any quote engraved on the inside, including quotes from the film! So happy!! We were thrilled to find a unique ring for my husband-to-be. 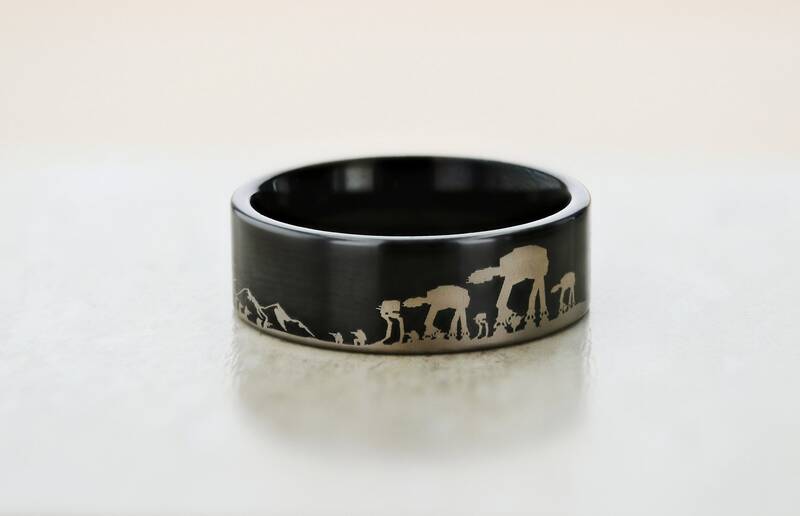 This one is perfect for our May the Fourth wedding. 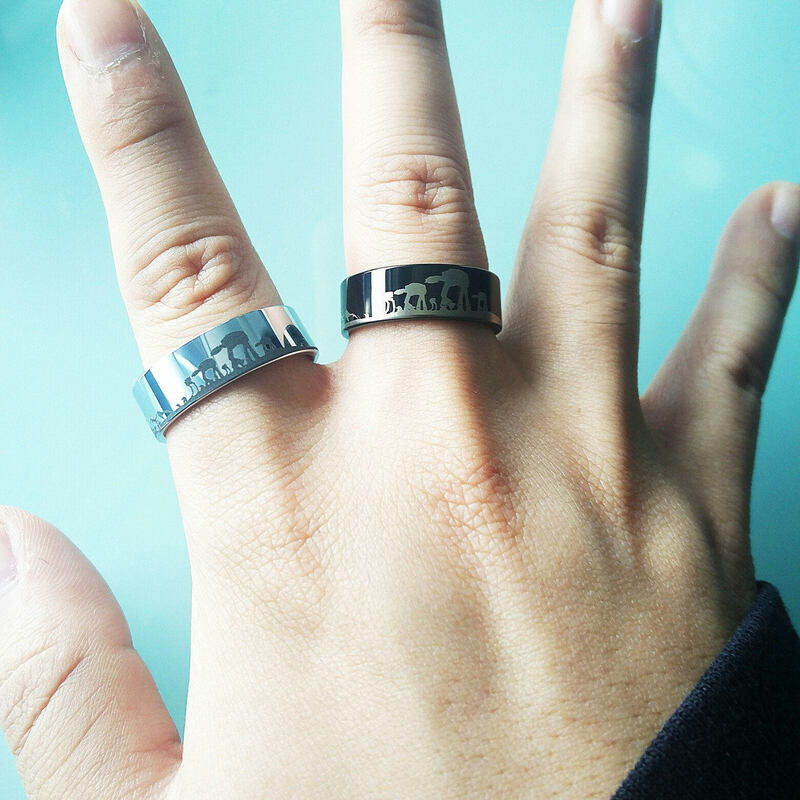 The item shipped quickly, which I was thankful for because I’m always nervous about sizing and buying rings online. The ring fits, it’s great quality and we love it. Thank you!! I can’t even begin to explain how wonderful this ring is, my fiancé is over the moon excited to have this as his wedding band. The ring looks exactly like the picture and came so quickly. Truly impressed with how fast this came and how wonderful it looks. Will definitely order from this company again. Thank you for such an amazing ring!! My husband loves it!! Such awesome quality, too! Thank you!